Richard Marshall Huth, 80, of Necedah WI, passed away on Friday, January 18 at the little cabin in the woods he built and loved just outside of Necedah. Richard was born April 30, 1938 to Marshall and Lorraine Huth in Chicago IL, the eldest of 8 children. He was born on the kitchen table, but it was his father that went to the hospital, due to appendicitis. On April 30, 1988 he married Karen Kmetz. She believed he insisted on getting married on his birthday so that he would never forget their wedding anniversary. Over 100 people sang “Happy Birthday” to him at their wedding reception. Richard was very handy and could fix anything. His wife was constantly carting things out to his workbench in the pole barn asking “can you fix this?” And he always could. After retirement he became interested in woodworking and created many tables, cabinets, Adirondack chairs bunk beds and various other items that are still used daily. After moving permanently to their woodland paradise Richard and his wife enjoyed fishing, boating, campfires, gardening, tavern time and observing wildlife in their backyard sanctuary. They also enjoyed playing cards, cribbage and other various games. He was an avid story teller and wherever Richard was at, that was where the action was. 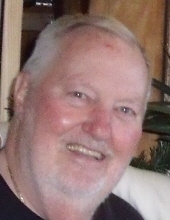 He is survived by his wife Karen; his children Julie (John) Pallissard and Richard (Stacy) Huth II; grandchildren Rebecca, Jacqueline, Joseph, Kendall, and Logan; three great grandchildren; sisters and brothers Dawn (Frank) Scarpulla, JoAnn Huth, Marshall (Linda) Huth, and Jack (Sandy) Huth along with many nieces, nephews, other relatives and numerous friends. He was much loved and will be missed by many. Richard was preceded in death by his daughter, Laura Huth; parents, and siblings Karl, Billie, and Kenneth Huth. Many thanks and much love to our special friends; Diane, Lori, Joyce, and Gail. Also to our home hospice angels Bonnie, Jenny, Pam, Bob, Elizabeth and Breanna as well as the hospice staff at the Tomah VA. Since Richard did not want a formal wake “I don't want anyone looking at me when I can't look back” a Celebration of Life will be held on Sunday February 10th, 12pm to 4pm at Wonderly's Country Bar N6840 Germantown Rd, New Lisbon WI. Ph # 608-567-9300. Another celebration in Illinois will follow later, details will be announced at www.torkelsonfuneralhome.com. Memorials may be made to Hospice Touch Tomah Memorial Hospital 601 Straw St. Tomah WI 54660 ph #608-374-0250 TomahHospital.org. "Email Address" would like to share the life celebration of Richard Marshall Huth. Click on the "link" to go to share a favorite memory or leave a condolence message for the family.